Many iPhone X/8/7/6 users are facing issue after upgrading to latest iOS 11 and iOS 114.1 that their iPhone is not showing missed call on the lock screen. 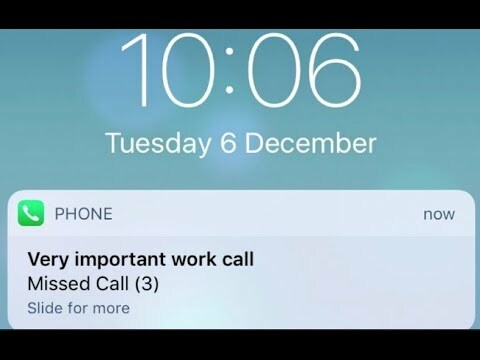 However the missed call is showing up on the iPad lock screen but not on the iPhone lock screen. The iPhone 6/7 does not display missed call at all. Even in the recent calls log on iphone there are no missed calls. 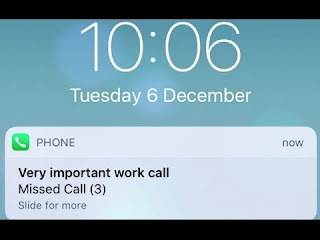 The users are sure that they have a call ringing and when they missed to pick up the call there is nothing on the lock scree of iPhone about missed call information. The issue is even reported with iOS 12 beta 3 where missed calls are not appearing on the iPhone lock screen. Similar to this issue if someone calls while you are on other call, the waiting call in queue will not be registered in the missed call list. 1) Go to setting and check DND mode, switch it on and back to off. 2) Under DND tab change Allow calls from "favourites" to "everyone" if this is an issue. 3) In phone tab go to Announce calls - choose always, worked for some people. 4) Reboot or hard reset your phone. Settings > Notifications > Phone > Show in Lock Screen. Also , Show in History>On and your banner set as "Persistent". To fix notification related issue it is always recommended to do a network reset.